Allows your child to gain self-confidence in a safe and healthy environment. Benefits and Advantages this Program has for Students. We know that parenting is hard work and maintaining a good connection with your children can be challenging, especially since parents are dealing with many other pressures. We find out how we can help you. 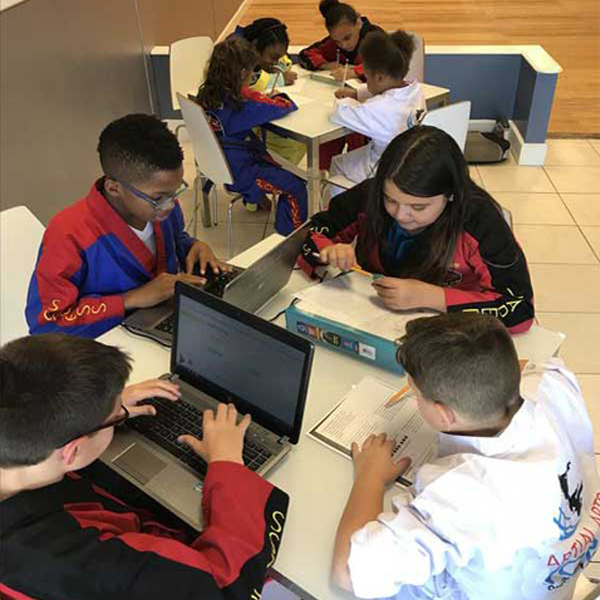 As a fundamental principle, our philosophy seeks to improve in each child a positive mental attitude, high goal setting, perseverance, self-control, and confidence. For parents who work long hours and need a safe, caring, and constructive alternative to daycare. Each day 45 minutes is directed to getting kids close to their ultimate goal of becoming a black belt. Class is a physical and mental exercise. We are our character and we are our habits. Every day we practice manners and skills that better ourselves. 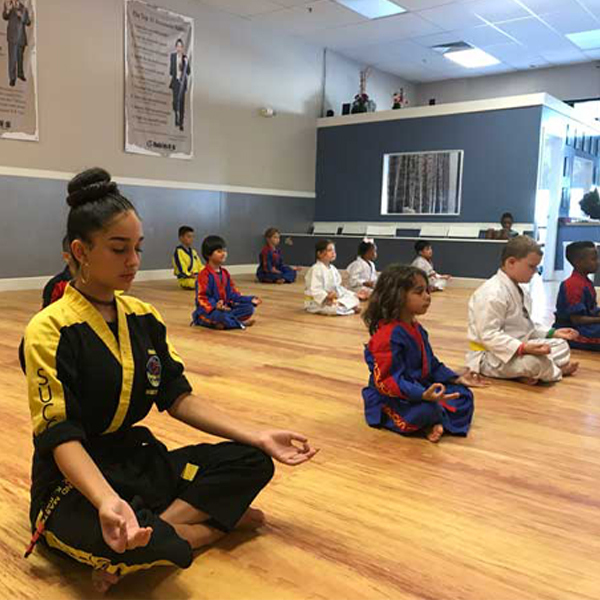 One benefit of martial arts is its use of rituals, such a bowing to the instructor, which can help teach kids with ADHD to accept, develop, and use routine in other areas of their lives. Martial arts involved complex physical activities, helping kids improve their focus and self-control. It is critical building healthy habits early on childhood to prevent obesity and diabetes later in life. Parents can also benefit from this program. A Decision That Will Change The Life Of Your Child Forever. We are open for teacher work days and some holidays. We are open on Teacher Work Days, Spring Break, and Fall Break so that the children have a safe structure alternative, other than staying home. These days are full or training, learning and most of all fun! We provide transportation from the school and back to our facility academy. Sign-up for the after-school program. Please, have the child’s name and school information available. In this program, we balance fun time with time dedicated to ensuring they complete homework before going home. Kids receive close to three hours of learning and training every afternoon during the week. We pick up your child from school and transport them to Martial Arts World of Waterford Lakes. Orientation is for meeting our staff and seeing the vans that will pick up your child/children from school. Our goal is safety with a familiar face. During this meeting, we’ll confirm if we pick up from your child’s school. 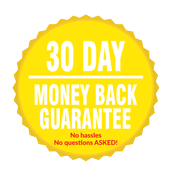 If we do, your child can start benefiting from this program the day after orientation. The program hours start immediately after-school ends and lasts until parents arrive, usually around 6:00 p.m. 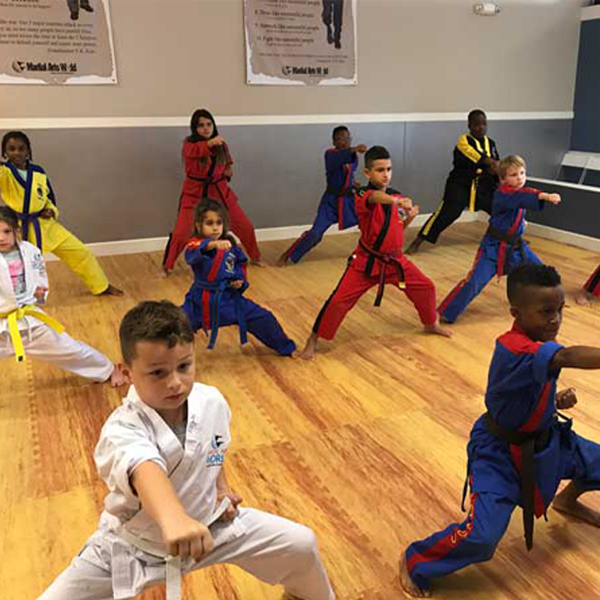 The daily martial arts class will start 4:15 p.m. until 5:15 p.m.
An efficient and timely service has allowed us to maintain the trust of our customers. Multiple payment gateways & renewal options. You can pay using PayPal and any credit or debit card and renew your membership every week or month.